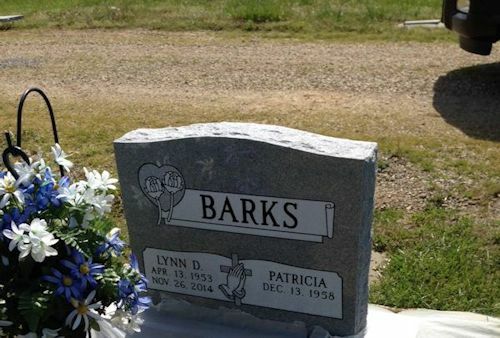 Lynn David Barks, 61, of Grassy, Mo., died on November 26, 2014, from injuries sustained in a vehicle accident. Born on April 13, 1953, at Grassy, he was the only son of Melvin and Opal Pauline Roberts Barks. A 1971 graduate of Woodland High School he received a vocational electronic degree in Louisville, Ky, following high school graduation. He worked in Schaumburg, Ill., for Motorola for many years. While in Illinois he met Patricia "Patty" Smith. They were married in 1980 in Carpentersville, Ill. Together they raised four children: Aaron (Heather) Barks of Grassy, Stephen Barks of Leopold, Mo., Jeremy (Brittney) Barks of Marble Hill, and Heather (Matthew)Smith of Grassy. Lynn was an outdoorsman. He worked on his farm near Grassy, and shared his abilities with his grandchildren: Damon, Brooklyn, Mallary, Daylynn, Halley, Rylie, Grant, Eli, Hinley, Liley, and Maverick. He was employed by JCS Tel Link as an electronic technician. He attended Cape First Church. He is survived by his wife, children, grandchildren, and a sister, Shirleen Schaefer. Visitation will be on Monday, December 1, 2014, from 4:00 until 8:00 p.m. at Hutchings Funeral Chapel in Marble Hill. Services will be on Tuesday at 10:00 a.m. at the funeral chapel.